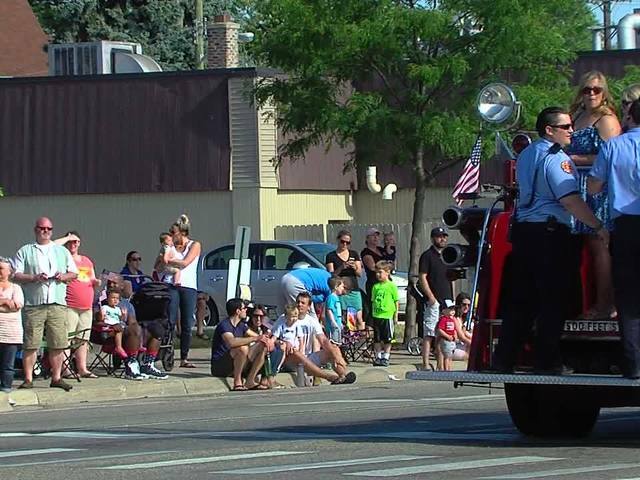 One local couple was creating their own fireworks at the Clawson 4th of July parade Monday morning. 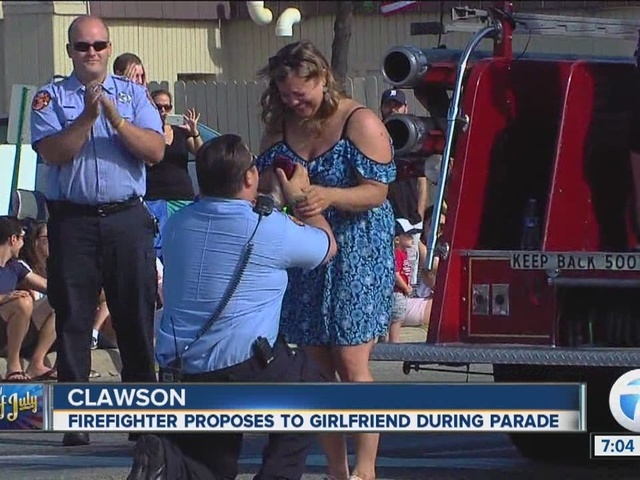 While on the parade route, Clawson firefighter John Sennet led his girlfriend, Alissa Berriman, off of the fire truck. There, in the middle of the street, Sennett got down on one knee and popped the question amid cheers from onlookers. Alissa said yes! 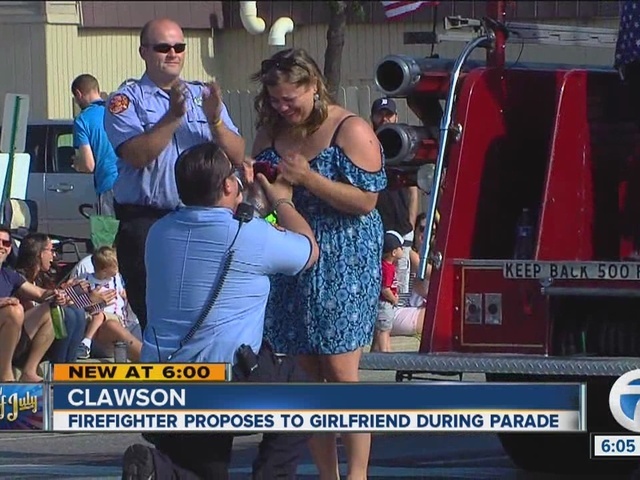 7 Action News crews captured the whole proposal on video. Congratulations to the happy couple! Watch the romantic proposal in the video player above.